Dahiyeh, South Beirut, LEBANON — Rushing to an appointment last Saturday I passed the Mohammad Hussein Fadlallah Hassaniyeh (Mosque), which for many in my immediate Dahiyeh neighborhood is the religious institution we feel most connected to because of its long and continuing history of social and religious work in our community. Nearly 18 months after the July 4th, 2010 death of Lebanon’s preeminent Islamic scholar, the Grand Ayatollah Mohammad Hussein Fadlallah, but seeming more like three months ago, the ‘Fadlallah Hassaniyeh’ is an ever active beehive of social work and religious study and truly a working people’s institution. It is also the manifestation of Sayed Fadlallah’s achievement’s for and commitments to all in our community: Shia, Sunni, Christians and non-believers. Unaware that it was the 12th day of the lunar month of Rabih el Awwal, the Prophet Mohammad bin Abdillah’s birthday, I was surprised by all the activity saturating the surrounding streets and the hundreds of school children in celebratory clothes doing various activities enjoying the festivity with their families. Suddenly a gaggle of pre-teen friends from our neighborhood ran up to me and pulled me to the front of the vast ornate Fadlallah Mosque and to the tables in front where children were distributing small cloth-wrapped candies in celebration. When night descends, which is early these days, the children might be given fireworks by their parents, as was common in the past. Yet given so much uncertainly these days in the region and in Lebanon, even relatively mild explosive noises cause my neighbors to hustle their flocks inside and avoid balconies and windows until they understand what the noise was all about. By then too late for my appointment, I postponed it and entered the Mosque and sat on a bench near the burial chamber (Maqam) of Ayatollah Fadlallah. I reflected on what he meant to Muslims and Christians in Lebanon and to all people of good will around the world and to me personally. I had the honor to meet with him several times and to count his son Ali, who has succeeded him in much of his work, as my friend. As I sat close to the Maqam, I was surprised to see members of our community still arriving to his resting place, leaning forward and speaking privately to him and pledging to follow his progressive teachings, fatwas, and examples. Some, inspired by his life’s work took vows to become better people in their relations with others. I also still recall vividly his funeral and the untold thousands who came to our neighborhood to join his funeral procession on July 6, 2010. Friends carried his body around our neighborhood. They then marched to the spot of the 1985 CIA-Saudi assassination attempt, which killed 90, mainly school children and women, and wounded more than 250, before returning to Imam Rida Mosque where he was laid to rest. Tens of thousands of mourners gathered at the mosque for prayer services before the funeral procession. From all across the region delegations arrived and every Lebanese political and religious leader attended except the small minded Maronite Cardinal Patriarch Sfeir, who took umbrage at Fadallah’s positive views about one person-one vote democracy. Sayeed Fadlallah did not favor Lebanon being ruled by the current archaic French colonial legacy of parceling out political power based on the undemocratic confessional formulae of the 1943 Paris installed National Pact. I recalled the morning of July 4, Zeinab, the nurse on duty at the blood donor’s clinic at Bahman Hospital, a block from my home in Haret Hreik, had just instructed me to remain sitting for five minutes and to drink the juice she gave me before I returned to south Beirut’s blazing sun. A companion and I had each just donated a pint of blood in response to an appeal from friends who worked in the Translation Office of Fadlallah. He had been hospitalized for the past 12 days but on Friday his stomach bleeding had increased dramatically, related to complications from a liver problem he had been treated for over the past several years. Sayeed Fadallah also suffered from diabetes and high blood pressure. As we waited, Zeinab returned, tears in her eyes, and simply said, “The Sayeed has passed away.” And she disappeared. So did my Shia hijabed companion, and as it seemed, everyone from the floor. I decided to walk down the stairs to the main level and could hear sobs from hospital staff on each floor, now seemingly darkened with each level eerier than the preceding one as I descended. As I left the main entrance of Bahman hospital, I was thinking about some of the more than a dozen meetings I had the honor to attend with Grand Ayatolah Fadlallah and some of his staff over the past three years. Such as those who regularly visited him from the Washington DC based Council for the National Interest and one visit that I had arranged for former President Jimmy Carter. Suddenly there was movement for two blocks in front and along the side streets adjacent to Bahman, a state of the art and science Hospital operated by Fadlallah’s Al Marbarrat Charity. This hospital was among hundreds of civil buildings in Haret Hreik and South Beirut that Israel had bombed in July of 2006. The Fadlallah home was also reduced to rubble. “How did these guys get here so fast?” I wondered, for it was only minutes since the Majaa (religious guide) to millions in the Middle East had died. Some security units, dressed in black shirts, caps and trousers, walkie-talkies in their left hands, others in civilian clothes, quickly placed traffic barriers in the area. They politely asked that all vehicles including motorcycles be relocated a least two blocks away. Some, from their appearance, obviously war toughened fighters, wept and consoled men and women who began arriving at the hospital to pay their respects, first in twos and threes and then streams. The loudspeakers from the Hassanayn Mosque, where every Friday Fadlallah for the past nearly 20 years delivered sermons to tens of thousands of faithful, Muslim and Christian alike, began broadcasting religious music and Koranic verses to our shocked and grief-stricken neighborhood. During the night of the 27th day of Ramadan, known as Laylat al-Kadr, (according to the Al Kadar Sura in the Koran, this is the day that the Angel Gabriel came down from heaven and the beginning of the revelation of the Koran) more than 50,000 filled Fadlallah’s Mosque and surrounding streets. “The father, the leader, the marjaa, the guide, the human being is gone. 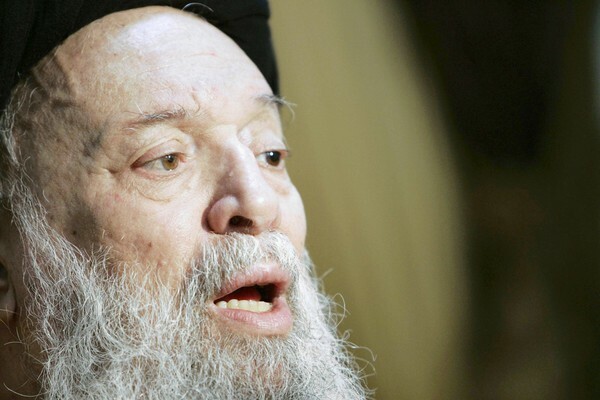 Sayyed Fadlallah has died this morning,” senior aide Ayatollah Abdullah al-Ghurayfi told a hastily called news conference, at the hospital, joined by the late cleric’s sons, Sayyed Ali Fadlallah and Jaafar, who, like nearly everyone else in attendance, could not hold back tears. The sweltering evening of July 5th, an American delegation was given by his family and Hezbollah security the rare honor of viewing the body of Lebanon’s senior Shia cleric inside his Mosque near where he would be buried at 1:30 p.m. the following afternoon. The group met a wide spectrum of Lebanon’s political and resistance leadership, but was not joined by anyone from the US Embassy since their government would boycott Lebanon’s national day of mourning and the burial of this Washington branded “Terrorist.” It was in 1995, that then President Bill Clinton, at the urging of AIPAC and facing a re-election campaign, so designated him. Former President Carter promised during a visit in June of 2009 that he would contact President Obama immediately about this travesty but was unable to have his name removed before the Sayeed’s death. The American delegation paying their respects included residents of New York, Massachusetts, New Jersey, California, Hawaii and Oregon, a Catholic Priest and two nuns, some of whom were in Beirut as participants in the delayed Lebanon flotilla to help break the siege of Gaza. They felt they were the true representatives of their country, not their Embassy. Ever misleading the public with respect to the Middle East, the mainstream western media began a thousand reports with the words, “A fiery anti-American critic died.” It is nonsense, of course. Fadallah was very pro-American in the sense that he often extolled the founding American principles and his relationship with the American people was valued by both. Barely two weeks before his death he left his sick bed to meet with a group of Americans from Washington DC, against the advice of his doctors, and he urged them to work to preserve the founding principles on which their country was founded and to encourage dialogue between Muslims, Christians and Jews and to end the occupations of this region. Like the rapidly growing number of American critics of US policy in the Middle East, many of Fadlallah’s Friday prayer sermons denounced arming and supporting serial Israeli aggressions. For more than 50 years, he worked at “modernizing” the Shari’a and rendering it accessible to modern day youth, addressing their concerns, expectations and fears in a fast-changing world. He was truly the Mufti of the youth and of women, their guide who never oppressed their dreams and always simplified rulings. He was available for questions regarding the most taboo of social and political subjects. He was also the enemy of stalemate and a rejecter of tradition in its inflexible sense. He insisted on subjecting all ideas to discussions, debates and reassessments and was much more interested in human beings than doctrines. His followers revered him for his moderate social views, openness and pragmatism. Fadlallah issued religious edicts forbidding female circumcision, condemning domestic violence-even allowing women to wear cosmetics and finger nail polish which some clerics opposed, and insisting that women could physically resist abusive husbands. He strongly supported female-male equality. He rejected the blood-letting at Ashoura events and like Hezbollah encouraged his followers to donate blood to the Red Crescent Society instead of cutting themselves. He also opposed the call to “jihad,” or holy war, by Osama bin Laden and he was among the first to condemn the 9/11 attacks. Fadlallah opposed “suicide attacks” but distinguished the right of an individual to sacrifice himself as a weapon during asymmetrical warfare by aggressors. Fadlallah supported the Islamic revolution in Shiite Iran, and advocated armed resistance to Israel. In 2009, again during a meeting with Americans, including Jews, Fadlallah, whose family came from the southern Lebanese village of Ainata, reiterated his call for a Muslim-Jewish dialogue as part of interfaith efforts aimed at bridging the gap among various religious, rejecting any offensive against Jews or Christians in any Arab or Muslim country. But he emphasized to the delegation the importance of a Muslim-Jewish dialogue away from Zionist influence, stressing that Jews need to be freed from the cycle of world Zionism and Israel should be confronted because of its occupation of Arab lands. He welcomed the election of Barack Obama in the US, telling the Wall Street Journal in 2009 that “some of Obama’s statements show that he believes in the method of dialogue”. He added: We don’t have a problem with any American president, but our problem is with his policy that might affect our strategic interest.” He later told visitors of his disappointment at President Obama’s Middle East policy, accusing him of being “under pressure” from Israeli supporters and “not a man who has a plan for peace”. Mohammad Hussein Fadlallah had a widespread reputation for piety and scholarship through his teaching and the more than 40 books and treatises he wrote. He established religious schools and foundations, clinics and libraries as part of the charitable Al Marrarat Foundation. In summary, Mohammad Hussein Fadallah was too moderate, progressive and too effective a spokesman advocating for the deprived to be tolerated by the US administration and Israel. Both required more stereotypical radical Muslim clerics to smear the region. The Mossad is believed to have targeted him more than half a dozen times including during the July 2006 Israeli attack. A generation was inspired by Sayeed Fadallah and listened to him and studied his voluminous writings. Two generations feel the emptiness of his passing away. Mohammad Hussein Fadallah was a rare man of an angel’s wit, mirth, and singular learning, a marvelous man of gentleness, humbleness, and affability. Sometimes when defending the rights of Muslims, Christians, Jews, and all people of faith or non-believers of good will, his countenance was changed by a sad gravity and his smiling eyes darkened. For to his core, Grand Ayatollah Fadlallah believed in the right and responsibility to resist injustice and occupation. He was a man for all seasons whose conscience and piety would not allow him to be idle as long as the poor and downtrodden remained dispossessed and voiceless or his beloved Lebanon and Palestine was occupied. For this, and for no other reason, he was placed and kept on the US Political Terrorism list as a Specially Designated Terrorist (SDT) in the Treasury Department’s Office of Foreign Asset Control and his American charitable assets confiscated. Like Thomas More, Fadlallah rejected offered inducements and bribes including T list removal from Washington if he followed the King’s wishes and stop support to the Lebanese National resistance. He wore his nonsensical Terrorist label as a badge of honor as his daily good works mocked and marked the list keepers with shame and cowardice for squandering American founding principles and for funding, arming and providing diplomatic cover to the Zionist colonial enterprise that stole Palestine. Each month since Sayed Fadlallah’s passing brings deeper understanding about the greatness of this public servant and the value of his achievements. Following Arbeen, the Muslim 40 day period of mourning for the departed, I visited with two of Fadallah’s close associates who wondered whether the future without his leadership would lead to his social service agency, the Mabarrat, having to cut back on its 30 schools, medical facilities, and social service agencies. They were worried that with his parting, his life’s work might become diminished and growing demands in the community could not be met. This morning I was advised by a key aide of the late Ayatollah Fadlallah that the Marbarrat, thanks to Fadlallah’s administrative skill, planning and foresight, is strong, expanding and will long serve our community. May Mohammad Hussein Fadlallah forever rest in Peace.